This new feature was inspired by a question from an EmPower student. In FX Draw you have always been able to overlay a set of axes with a freehand, smoothed line (but the resulting line is not “part” of the graph). There has not, however, been a way of drawing a smoothed line over an FX Graph graph. 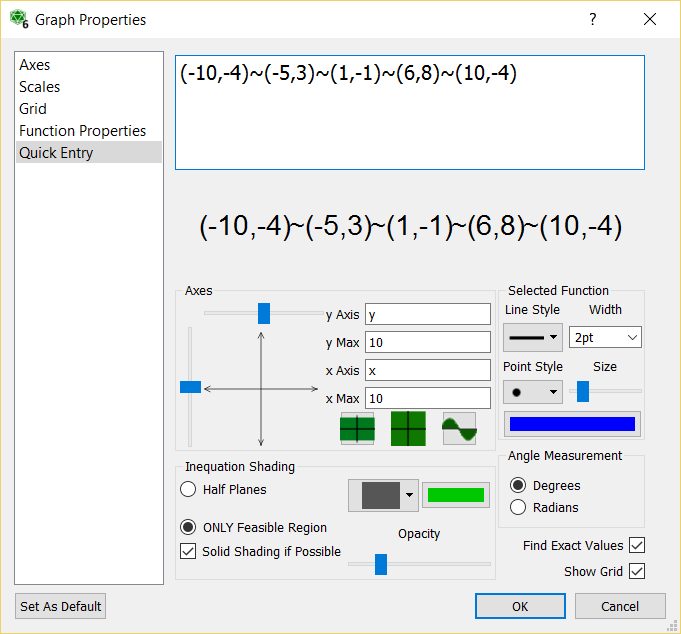 We have now added a new feature to both FX Draw and FX Graph that allows you to explicitly enter a smoothed line into the graph tool. 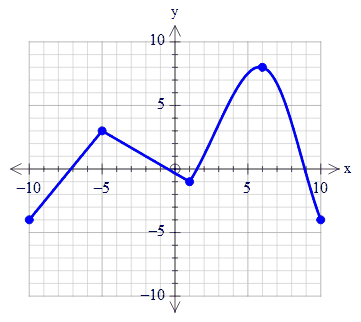 If you join points with a tilde (~), the graph tool will draw a smoothed line joining the points. 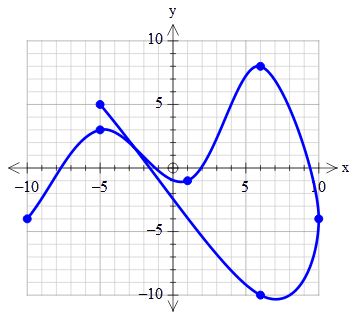 For example, if you enter (-10,-4)~(-5,3)~(1,-1)~(6,8)~(10,-4) as your function, the graph tool will draw this graph. You can mix ~ and + in the same function. The smoothed curves do not have to be left to right. In other words, they do not need to represent a function. The resulting line is guaranteed to pass through the listed points. You can also reduce the size of the points so that they do not appear as marked points.